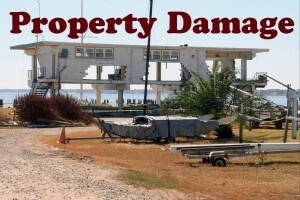 Florida Insurance Claim Lawyer Blog - Insurance claims for property damage in Miami, Florida. 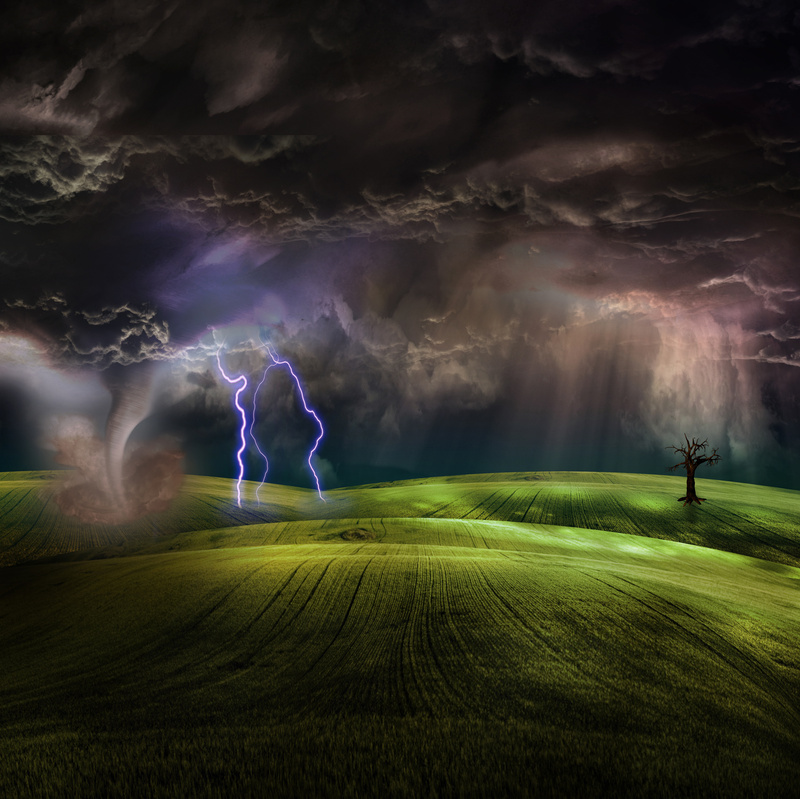 The official hurricane season may start in the summer, but there is no better time than now to start preparing your home for the strong winds, torrential rain, storm surges and other hard weather conditions that usually accompany a major storm. From hurricane-proofing your garage door to trimming the landscape, here are a few tips to help you protect your home from a storm. We decided to enlist an expert to help cover the basics on preparing some of the major parts of your home for a storm if left to chance. Scott Fabacher, Miami-based owner of Advanced Overhead Doors & Service, will share tips to keep yourself and your garage, windows, doors and other parts of your home safe in order to avoid or limit costly damage to your home. The first step to staying safe during the hurricane season is storm-proofing your garage door. Since the garage door is usually the largest opening in most homes, a breach has the potential to cause severe damage to your entire home. If strong winds make their way inside the garage, the pressure inside can build up to extreme levels and blow off your entire roof. A garage door breach can also damage a home’s foundation and cause water to seep in, not to mention the loss to your car and other items stored in the garage. A wind load rated garage door that meets your area’s requirements for hurricane resilience is one of the best ways to protect your home and your family. As an additional precaution, make sure that the mounting area and track that holds the garage door in place are secure and well fitted. You may also consider installing extra reinforcements to your existing garage door. Some insurance companies offer discounts to homeowners who have taken steps to minimize hurricane damage to their homes. Think about talking to your insurance agent way in advance, and find out what is included in your policy. If you don’t have hurricane shutters, you can use plywood sheets that are between 0.5 and 0.75 inches thick to cover large openings like windows or skylights during a storm. For your doors, adding a third hinge or a deadbolt with a bolt throw of at least one inch can provide extra protection. If you have a set of double doors, because of the larger opening and length, consider adding header and footer bolts for reinforcement and extra support. Since the roof of a house is bound to bear the brunt of any bad weather, you need to make sure your roof is in great shape before the first storm of the season. If your budget doesn’t allow you to hire a professional roofing contractor for a roof inspection, the next best thing is to walk around your house, looking carefully for any signs of problems areas on the roof. Missing or cracked shingles, loose nails, and rust spots on the flashing are clear signs that you need to get some roof repairs done before the hurricane season. Finally, make sure the rain gutters and downspouts are free of debris and tightly fastened to the main structure of your home. Make sure your yard is clear of any debris or loose objects such as trash cans, patio chairs or tables that can get picked up and tossed about by strong winds. Objects that are too big to bring indoors can be securely tied down with rope or strong straps. Trees that are too close to your home can pose a huge threat during a storm and should be trimmed. Of course, these steps do not guarantee that your home will make it through the next storm with zero damage. However, they will help you ensure that you spend far less time and money on repairs after the storm has passed. Planning in advance makes the difference between having an extremely stressful time preparing for a storm or a more calm time, since you took the necessary steps in advance and mainly need to focus on the basics, like food, water and batteries. It’s not easy to get motivated to do all of these things without a hurricane watch taking place, but if you can take a few minutes to pick one or two items and do a basic inspection to see what condition your roof, doors, windows or garage are in and call a professional for anything big you won’t regret it. The Florida Supreme Court issued a favorable ruling for homeowners involved in an insurance dispute. In John Robert Sebo v. American Home Assurance Company, the Florida Supreme Court was asked to determine whether coverage existed under an all-risk policy when multiple perils combined to create a loss and at least one of the perils is excluded by the terms of the policy. The court concluded that coverage did exist in such a scenario. 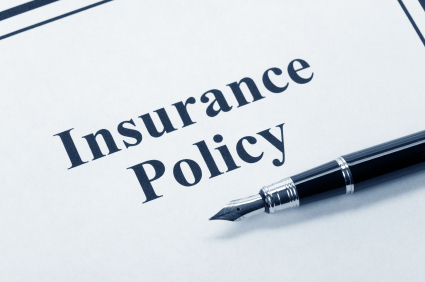 In other words, the Florida Supreme Court decided that insurance companies should not deny coverage for property damage just because it had more than one concurrent cause so long as the policy covers one of the causes. 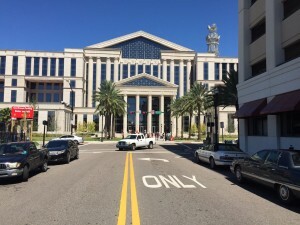 To decide whether coverage existed under the policy, the Florida Supreme Court first had to determine which was the proper theory to apply, the Concurrent Causation Doctrine (“CCD”) or the Efficient Proximate Cause theory (“EPC”). Under the EPC, coverage exists for a covered peril setting into motion an uncovered peril, but not visa versa. Under the CCD, coverage exists where an insured risk constitutes a concurrent cause of the loss even where the insured risk is not the prime or efficient cause of the accident. In this case, Sebos, an insured homeowner, had a policy which covered rain and hurricane damage but not damage from construction defects. His house was damaged during Hurricane Wilma because of the rain and construction defects. The Court found that there was no reasonable way to distinguish the probable cause of Sebos’ property loss since the rain and construction defects acted in concert to create the destruction. It further stated that EPC should not be used because no efficient cause could be determined. Finally, the Court looked at the plain language of the policy and found that the Insurers did not write into the policy any clauses to explicitly avoid applying CCD. The policy’s plain language did not preclude recovery. The Court also stated that the trial court can consider the amount of settlement as a post-judgement offset. The dissent argued that the question of whether to apply CCD or EPC was not raised at the trial court or the Second District Court and so, the issue should not have been addressed. Are you ready for Hurricane Matthew? If you have not already prepared, the time is now to prepare. Advanced preparation is critical because right before a storm hits, supermarkets and home improvement stores are jam-packed with last minute shoppers. Waiting until the last minute on important supplies is especially dangerous because items fly off the shelves and you risk being left without necessary supplies. It is also important to stock enough supplies to last you through a storm and beyond. • Blankets / Pillows, etc. insurance, medical records, bank account numbers, Social Security card, etc. • Ample supply of food and water. Who is Responsible for the Damage Caused by that Fallen Tree? When Ponce de Leon discovered Florida he fell in love with its lavish landscape and beautiful plants. Given lush natural beauty he observed he named this newly discovered land “La Florida” or a place for flowers. Indeed, South Floridians today are known to adore their plants and flowers. But between neighbors, trees can often be a source of dispute. Which begs the question, who is responsible for the damage caused by that fallen tree? In South Florida, neighbors often squabble over trees and debris said trees may shed. But many may not know what their legal rights are as it relates to those trees and their real estate. This post aims to shed some light on those issues. A common source of dispute between neighbors is the overgrowth of trees and brushes. It should come as no surprise to any South Floridian of the presence of trees on one’s property that extends to the neighbor’s property. That extension could be in the form of over-hanging branches, or roots, or both. That overgrowth often begs the question – who is responsible for the overgrowth of branches and roots and that damages that may flow from that overgrowth. In Gallo, Gallo sued his neighbor, Heller, claiming that Heller’s ficus and melaleuca trees encroached into Gallo’s property causing damage to Gallo’s property. The court ruled that while Gallo may not recover damages from Heller for the encroachment of Heller’s plants, branches, and roots, on Gallo’s property, Gallo may nonetheless take any measure necessary to trim or cut any of Heller’s plants that may be on Gallo’s property. Simply put, one is permitted to take any steps necessary to trim or cut any overhanging branches or roots that comes on to one’s property, but one cannot take any action as it relates to the source of the branches or roots if they are not on one’s property. Another issue that often arises stems from damage caused by dead trees as well as live plants. The general rule is that if a live plant, or tree, falls onto a neighbor’s property causing damage to the neighbor, then the owner of the live tree is NOT responsible for the damage caused by the live tree. However, if the tree or plant is dead and that dead tree or plant falls onto the neighbor’s property, and causes damage, then the owner of the dead tree IS liable for any damage caused by the dead tree. Of course, the best method of resolving neighborly disputes is to keep an open mind and maintain the ability to openly speak with your neighbor about the issues. The legal process should be viewed as a last resort as a lawsuit may do more harm than good in terms of maintaining a harmonious neighborhood. An “assignment of benefits” involves homeowners signing over their insurance policy benefits to contractors in return for repair services. 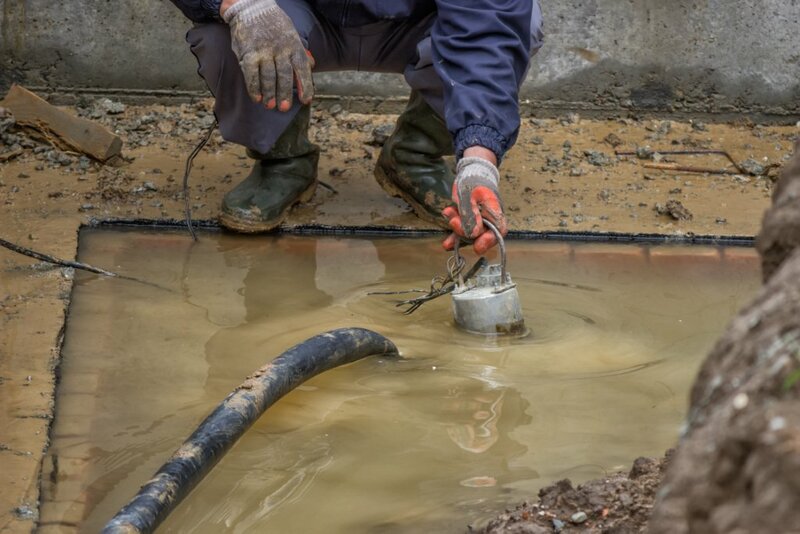 This comes up a lot in cases which involve water damage, in which contractors fix the homeowners water issue and in turn seek payments from the insurance company. The insurance industry feels that this practice causes inflated prices and fraud on the part of the contractor. Contractors, on the other hand, feel that the practice helps homeowners in choosing a contractor quicker when in need of emergency repairs. As we previously discussed, earlier court decisions such as in One Call Property Services, Inc. v. Security First Insurance Company, ruled that post-loss assignments of a claim are allowed even when the insureds policy has anti assignment and loss payment clauses. The appeals court in One Call also stated that an insurance policy does not preclude an assignment of post-loss claims even when payment is due. Additionally, standard loss payment provisions merely address the timing of the payment and in fact contemplate a lawsuit before payment is due. One Call seems to shed light on the First District Court of Appeals ruling. The First District Court of Appeals seems to deal with homeowners assigning over benefits to the contractor upon hiring and before payment is due or services are rendered. One Call has ruled post-loss claim assignment can survive even in opposition to anti-assignment clauses and loss payment clauses. The legislature will likely have to tackle the question of whether or not contractor can get into an assignment of benefits agreement prior to the work being performed or payment being due. It seems as though the court has deemed this as a public policy issue rather than a question for the courts, which will now be in the hands of the legislature. I still remember the last hurricane that hit South Florida. It was Hurricane Wilma back in 2005. It caused a lot of damage to South Florida homes, and offices. But one of my lasting memories of coping with the aftermath of Hurricane Wilma was trying to cook when there was no power after the storm. It proved to be challenging at times. Full power was not restored in South Florida for some time after Hurricane Wilma. Indeed, the gas lines were long after Hurricane Wilma as a direct result of the sustained loss of power. I still remember being at a friend’s house cooking in his backyard BBQ when the power was suddenly restored. I immediately jumped in my car and drove straight to the closest gas station to gas up my car. But after gassing up my car, I returned to my friend’s house to continue cooking. My employer at the time realized that many families could not eat a decent warm meal after Hurricane Wilma due to the loss of power. So my employer had a generator brought into work that allowed a chef to cook warm meals for all of us to eat during lunch and take some warm and fresh food back to our homes. We have been fortunate over the past several years in that South Florida has not been hit by a hurricane. But that does not mean we should lay down our guard. We should not only prepare, but reflect on the lessons learned from past storms to be better prepared for the aftermath of the next storm. For instance, it goes without saying that any hurricane preparation plan should involve enough food and water for at least one week. But if there is no power, how are you going to cook all that food that requires cooking? I recall going to a friend’s house where we proceeded to cook just about all of our meat. We used his commercial styled grill. And all of the neighbors even came over to use the commercial grill to cook some meat. You see, my friend was prepared. He had a large industrial style BBQ and enough gas to last a week. He had a freezer where the meat stayed cold long enough to permit us to cook the meat we needed before the meat went bad. Charcoal or Gas Grill – use that grill to cook your meats stored in a freezer. 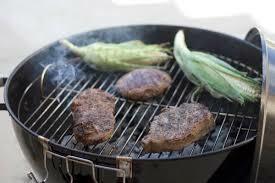 Before the storm hits make sure you have supplies on hand to ensure that you can properly operate your grill. If you need a propane tank, for example, make sure you have one that is full. With a grill, you can cook just about anything. Don’t forget that you can even use a grill to warm up canned products. Hot Plate – if you don’t have a grill, then consider purchasing a gas two burner hot plate. You will generally find them in camping stores. If you purchase this product, make sure to purchase enough fuel to last for at least a week. Generator – if you have a generator, then hook it up to an electric skillet with a cover. This will use much less energy than a range. Be sure to keep a manual can opener, corkscrew and bottle opener on hand as well. And here are some more examples of cooking after a storm that you may find useful. And for vegetarian and vegan friendly hurricane prep food tips, try this. A Florida appellate court ruled that post loss assignment of benefits are permissible. The 4th District Court of Appeal of Florida was tasked with deciding whether or not payment must be due under the loss payment provision before an insured may assign a post-loss claim under the policy. This ruling will have an impact on contractors and homeowners dealing with their insurance company. In One Call Property Services, Inc. v. Security First Insurance Company, One Call performed emergency water removal services to an insured homeowner. 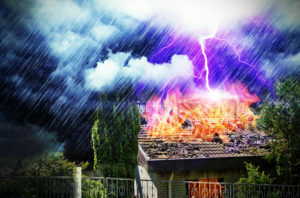 The insured homeowner assigned their rights to insurance proceeds to One Call as payment. One Call then filed a complaint for breach of contract against the insurer Security First who refused to reimburse One Call for its services. Security First reasoned that the assignment was invalid pursuant to the policy’s anti assignment and loss payment clauses, and thus the insured sought to assign unaccrued rights under the policy. While the trial court dismissed the complaint, the appeals court reversed. The appeals court maintained that in ruling on a motion to dismiss, a trial court is limited to the four corners of the complaint and its incorporated attachments, not other cases. On the merits of the issue, the appeals court found that even when an insurance policy contains an anti-assignment clause, an insured may assign a post-loss claim. The court based this ruling upon well settled case law. Moreover, the court held that a standard loss payment provision in an insurance policy does not preclude an assignment of a post-loss claim even when payment is due. The appeals court followed the opinion of the Second District and maintained that the language did not create a contractual bar to assignment. Standard loss payment provisions merely address the timing of the payment and in fact contemplate a lawsuit before payment is due. However, the appeals court declined to decide on whether the post-loss assignment violated the public adjuster statute, the statute governing insurable interests, or whether partial assignment needed the consent of the insurer. This ruling reaffirms well settled case law that an anti assignment clause nor a loss payment clause will bar assignment of a post-loss insurance claim. In short, as long as the insured complies with all policy conditions, a third-party assignee may recover benefits on a covered loss. Alcohol consumption is the decisive factor in a dispute over life insurance benefits. Javier Lopez (“the Insured”) purchased an accidental death and dismemberment policy from the Insurer. The policy contained an alcohol exclusion provision excluding from coverage “any loss incurred as a result of . . . any injury sustained while under the influence of alcohol or any narcotic unless administered upon the advice of a physician.” Sometime during the night of July 31, 2011, the Insured died in a crash while operating a jet ski in Biscayne Bay. Citing the alcohol exclusion provision, the Insurer denied the Beneficiary’s claim for proceeds under the life insurance policy. The Beneficiary then filed a lawsuit. The Insured was last seen alive around 10:00 p.m. on July 31, 2011, when he left an island north of the Venetian Causeway in the Intracoastal Waterway. When the Insured failed to return, the Coast Guard was called and a search of the area located the jet ski at approximately 4:00 a.m. on the north side of the Julia Tuttle Causeway. The Insured’s body was found later that morning at approximately 7:44 a.m. on the south side of the causeway. The autopsy report indicated the cause of death was multiple blunt force traumatic injuries sustained in a front-end collision with a fixed object. The toxicology report indicated that the Insured’s blood alcohol level was .10, which is above the legal limit of .08 in Florida. 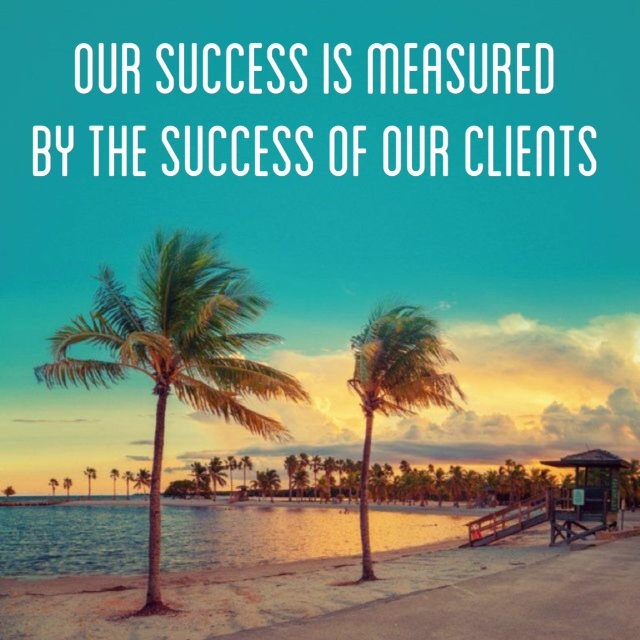 The Beneficiary’s expert agreed that the Insured was operating the jet ski with a blood alcohol level in excess of the legal limit and that the Insured collided with a fixed object. The Beneficiary’s expert, however, opined that the Insured’s blood alcohol level was not the sole cause of the accident because other factors contributed to the accident, including: (a) the Insured’s operation of the water craft in a negligent or reckless manner; (b) the dark nighttime conditions; and (c) the Insured’s failure to keep a watchful eye on his surroundings. Although not disputing that the Insured’s blood alcohol level contributed to the accident, the Beneficiary’s expert opined that “it does not mean [alcohol] was the cause of the accident.” (emphasis added). In the expert’s opinion, “for one to say alcohol was the cause of the accident is pure speculation.” (emphasis added). The trial court agreed with the Beneficiary, and ordered the insurance company to pay the policy benefits to the beneficiary. The insurance company then filed an appeal. On appeal, the appellate court ruled in the insurance company’s favor. The court reasoned that there was no disputed question of fact that alcohol played a role in the accident. Given that it was undisputed that alcohol played a role in the subject accident, the appellate court had to decide whether the alcohol exclusion applied when the insured’s intoxication played a role in the cause of loss, or whether intoxication needed to be the sole cause for the exclusion to apply. The Second District Court of Appeal concluded that an insured can bring a bad faith claim against an insurance company after the issuance of an appraisal award. This is a significant ruling for insureds as insurance companies often argue that bad faith claims are not ripe until a judgment has been entered in the insured’s favor. This case, however, dismisses that argument. The facts in Hunt v. State Farm are rather straight forward. Mr. Hunt sustained sinkhole damage in July of 2006. Mr. Hunt then filed a claim with his insurance company, State Farm, to recover for those damages. After disagreeing with State Farm’s estimate for damages, Mr. Hunt filed a civil remedy notice of insurer violation (“CRN”). The civil remedy notice triggered the start of a 60 day period in which State Farm could cure its alleged wrongful conduct. Mr. Hunt then sued State Farm for a bad faith claim. In response, State Farm moved to dismiss the lawsuit and compel appraisal. The trial court granted the motion to dismiss, and ordered the parties to appraisal. During appraisal an award of over $150,000.00 was issued in Mr. Hunt’s favor. However, Mr. Hunt subsequently dismissed his initial lawsuit and filed a bad-faith action. State Farm moved for summary judgment, and the trial court granted State Farm’s summary judgment. It was granted because the trial court reasoned that Mr. Hunt had not obtained a judgment against State Farm and that he failed to state a specific amount in his Civil Remedy Notice. In regards to the claim that Mr. Hunt failed to state a specific amount, which would bar him from relief, the District Court of Appeals ruled that §624.155 Fla. Stat. does not require a specific cure amount in order for Mr. Hunt to bring a claim. They ruled that Mr. Hunt did what was required by the statute and that a specific amount is not necessary in order for him to pursue his cause of action. This ruling will no doubt aid Florida insureds pursue bad faith claims against their insurance companies if their insurance company is conducting themselves in bad faith. Please do not hesitate to contact our office if you wish to discuss your claim further. Often times we are asked to explain the difference between replacement cost coverage and actual cash value coverage. 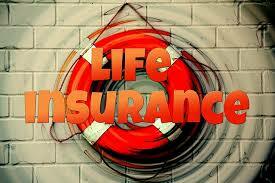 Both of these terms describe insurance coverage intended to cover you for your damaged or stolen property. However, the amount you receive for your damaged or stolen property will depend largely on whether you have replacement cost coverage or actual cost coverage. Replacement cost coverage will pay you for the item in today’s dollars. For instance, let’s say your sofa was stolen or damaged from your home. Replacement cost coverage will reimburse you the full cost of replacing the sofa with a new one of like kind. On the other hand, actual cash value will pay you the replacement cost of the sofa minus any depreciation. The best way to understand actual cash value is that the most you could expect to receive from the insurance company for your stolen or damaged sofa is approximately the same price you would have received if you had tried to sell the sofa prior to it being stolen or damaged. So to quickly recap, both actual cash value and replacement cost coverage are both based on the cost today to repair or replace the damaged/stolen property with new property. However, actual cash value will deduct that amount by applicable depreciation whereas replacement cost does not factor in any depreciation. 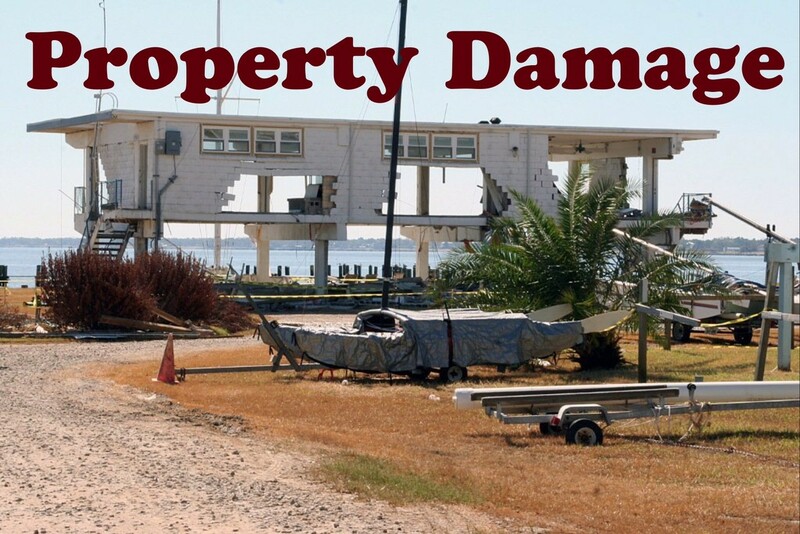 But what happens when you have to make a claim for your damaged property? If you had purchased replacement cost coverage, insurance companies may pay you the actual cost value of the repair and wait until you submit a receipt for the cost incurred for the total repairs before they pay you for the difference. Indeed, Florida Statute Sec. 627.7011 was amended to codify that practice. The Florida legislature’s final bill analysis provides that the amendment to the statute “changes current law relating to the payment of replacement costs. 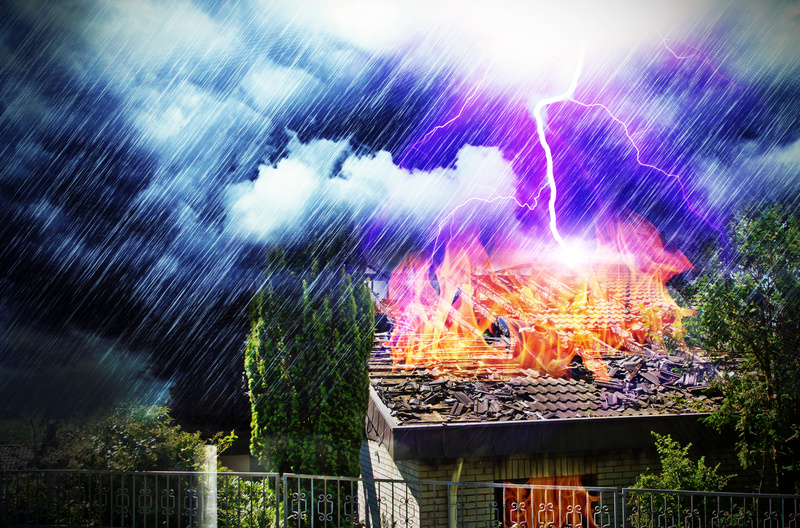 For partial dwelling losses, the insurer must initially pay at least the actual cash value of the claim, less any insurance deductible. The remaining amount owed on the claim (i.e., the difference between the initial amount paid and the replacement cost) is paid by the insurer periodically as the repair work is done and expenses are incurred by the policyholder.” Slayton vs. Universal is a case decided by the Fifth District Court of Appeal that discusses these issues as well. Please note, however, that insurance companies are not permitted to deduct depreciation from the total and final replacement cost payment. While they may “withhold” payment until the actual expense is incurred, they cannot deduct “depreciation” from said payment if you have replacement cost coverage.